When I was thinking of my favourite apps this morning I scanned my phone but for some reason passed right over one of my most frequently used apps, HauteLook. I think I passed over it because I thought “Well this app doesn’t improve efficiency, or teach me something or provide a service, it just gets me to spend money!” Yet I engage with this app every single day, so even though it is a “shopping app” I think it still deserves some definite props! So let’s start with a quick overview of what this app does. 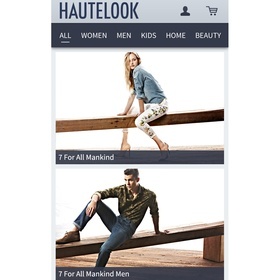 HauteLook is an iPhone, iPad and Android app and a website that allows you to buy discounted merchandise. Nordstrom acquired HauteLook in 2011 and it has since become a place where shoppers will “discover the top fashion and lifestyle brands at amazing savings.” Once you sign up for free you will find the app interface organized neatly into 5 categories: Women, Men, Kids, Home and Beauty. I tend to shop mainly in the “beauty” section because it often has brands I can’t find in Canadian stores. Every day at 8 AM pacific time, the deals are updated so there is always something new to look at. The main reason I check it every day is to view the new deals that have just been posted. I have ordered from the app 3 times now and have found the process to be very easy. Once you make your first purchase the app safely stores your payment information so you can purchase items with ease the next time. There is a downside that I have found: for Canadian shoppers there is a $10 shipping and handling fee and it often does take several weeks to actually get to me. That being said, even with the $10’s in shipping I still get the products for a great price compared to what I would pay at a regular price. Also there is a section that will tell you what orders you have placed, when they have actually shipped, and the tracking code for your packages. Another great thing about this app is its visual appeal. The app is well laid out with beautiful images that entice you to explore everything. Once you select a category, like women, men, etc, it is organized by brand. Once you have selected a brand to explore you can choose a product and see product photos and a great description of sizes, colours, etc. Their comprehensive explanations of the products is what has always enticed me to actually make a purchase. It is often hard to tell colours and textures of makeup and beauty products online but they try as hard as they can to give a full description so you know what you are purchasing (and I haven’t been disappointed yet!). The app also has a nice “Filter” feature so you can filter your view when you are searching for something in a specific size, colour, etc. One feature that I wish would be available for Canadian’s is the “Home” section. We can view and browse all of the products but I have yet to find a product that actually ships to Canada. Maybe sometime in the near future! 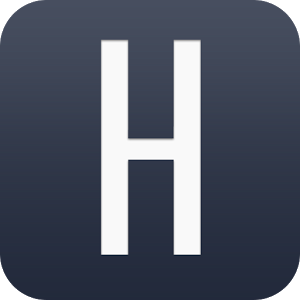 Overall this is a great app for shopping enthusiasts. I am not much of an online shopper, in fact I think I have purchased only half a dozens items online in my whole life, but this app is changing that for me. It makes me comfortable when spending my money over the app and I am very happy with the quality of brands they have and the products have never disappointed when they arrive! I can’t wait to see what other great brands and beauty finds I score on this app in the future!